There are several wintertime essentials that you simply cannot leave the house without once the temperatures drop down to the low 30's. A warm, fleece-lined jacket is a must, as is a cozy, cashmere beanie and a pair of gloves to keep your hands toasty, the latter of which we're focusing in on today. Without these cold-weather friendly pieces, leaving your apartment becomes, well, a frigid challenge. So before winter officially arrives, stock up to stay warm all season long. We searched far and wide to uncover the warmest gloves on the market, and our edit certainly has something for every style and need. 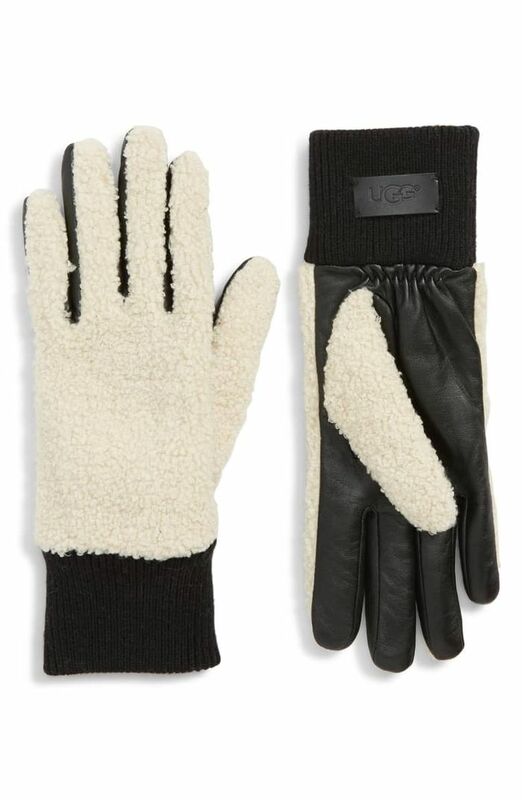 From tech-friendly picks that'll still allow you to scroll and tweet to a shearling-lined pair to match with Ugg boots, keep scrolling to shop our roundup of cozy, warm gloves you'll never want to leave the house without. Like the boots, but for your hands. These will go with all your coats. An easy pop of color. Wool gloves are undeniably warm. Like the coat, but for your hands. Leopard print is the must-have print of the moment. You'll have no problem scrolling through Instagram with these on. Looking for fingerless gloves? Here are the cutest ones. Next up, shop 20 cashmere beanies to keep your head warm all winter.